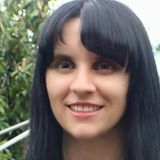 I’d like to introduce you to the fifty-first interviewee in my ‘Meet the Author’ series. She is Marita A. Hansen. Hi, Marita! Welcome to Susan Finlay Writes blog site. Can you tell us a bit about your background as a writer? I’ve always loved to write, but recently found out through my teenage diaries that I wanted to be an author as far back as the eighties. I started reading them about a month ago (since I’m turning them into a book) and was greatly amused to find story ideas in there, though not very good ones, I must say. After school I moved away from writing, and headed into the field of art (as a graphic designer and fine artist). I didn’t end up getting back into it until I went to Auckland University in my mid twenties, where my writing largely centred round Art History and Italian Studies. I got back into fiction writing in my thirties. I wrote two versions of a young adult story originally called The Star of the Sea, then changed it to The Blue Curse, then to Stella Maris, but I never published it (although I intend to rewrite it next year and finally get it out there). My daughter loved the original story and was quite mad that I didn’t publish it, but I was having trouble with it, constantly changing things due to conflicting advice from fellow writers on a website called Youwriteon. So, I eventually gave up in frustration and started writing a story called See No Evil, Hear No Evil, which was also meant to be a young adult fantasy, but as soon as I changed the location from Singapore to my old neighbourhood in South Auckland things took a dramatic turn and the story ended up becoming realistic. I never set out to write such a harsh story, but writing is organic for me and things just flow from one scene to the next, taking me where the story wants to go, not where I intended it to. Anyway, this story took off on Youwriteon and made it to the number 2 spot in the charts, and won an editorial review for the first three chapters from Orion (UK). The editor was very complimentary and gave me great advice. I then changed the title to Behind the Hood and fixed up the chapter she suggested, then put more of the story on another writer’s website called Authonomy, where it made the number one spot in the countdown, thus winning a review from HarperCollins (UK). Anyway, to cut a long story short, I ended up deciding to self-publish it, and from there a series was spurned called Behind the Lives, as well as a spin off series set ten years prior called Graffiti Heaven. You were born and raised in New Zealand. Do you use New Zealand’s history, culture, or landscape in your writing? Yes, my writing is hugely influenced by New Zealand, especially since my stories are set here. My characters are also from cultures common to my country, such as the Maori, the Dalis (a NZ nickname for Croatians from the Dalmatian Coast), Samoans, Tongans, and so forth. Throughout my books I incorporate words and customs belonging to these cultures. For example, a number of my characters have Maori-styled tattoos, something that is common in New Zealand. I also include the local landscape. The major town in my book is based on Clendon Park, which borders the Manukau Harbour, a beautiful stretch of water. Other areas of Auckland are also mentioned as well as notable landmarks, such as the Sky Tower and the Auckland Harbour Bridge, etc. You have three published novels, Behind the Hood, Graffiti Heaven, and Behind the Tears. Are these books related? All my books are related. Behind the Hood (book 1) and Behind the Tears (book 2) are from the Behind the Lives series. They are set in 2010, whereas Graffiti Heaven, the first in a prequel series, is set in the year 2000. Graffiti Heaven follows Ash Rata, who is a secondary character from Behind the Hood and a major one from Behind the Tears. He is on the cover of two of my books, just depicted at different stages of his life. (Graffiti Heaven originally started off as a prologue to Behind the Tears. I’m currently working on Behind the Lens, which is book three from the Behind the Lives series. It’s due out June 30th, although unfortunately that date may have to be pushed back to mid July because of time constraints. I’m also halfway through transferring My Teenage Diaries, which I will publish by the end of August. They are real teenage diaries that were written between the years 1988 to 1991. I have also I written a few chapters of Crying Out Silent (book 2) from the Graffiti Heaven series. I have quite a few planned, but those are the ones I’ve started. Where do you get your book covers? Do you design them yourself? I create all my bookcovers, I used to be a graphic designer (before computers took over in New Zealand), and was a fine artist for a number of years before turning my hand to novel writing. The pictures on my covers are all hand drawn. The end part is my least favourite. It’s when I have to get it ready and perfect for publication, right before I upload it. By this stage, I’ve read the book so many times that I just want it off my hands. My favourite part of writing is when a story takes form and flows. I also love sending my chapters to my editor, because he’s fun to work with. I don’t have a routine, mainly because I hate routines, which drives my husband nuts. Instead, I write whenever I can. My favourite place to write is in bed. Are there any books or writers who have especially influenced your writing? No. Like my art, my writing is original, which can be a nuisance when classifying it. with them, lol, because I’m married. What an exciting writer and such wonderful topics you’ve written about. Marita, well done. I love the way you say you take the culture and customs of the peoples in the locations where you set your stories and fit them into them. I think it is so important to write about places which are unfamiliar to most readers who have grown up on Western European and American locations in the main. I wish you lots of success for the future. Enjoyed this no end Susan, thanks. Leave a reply on "Meet the Author: Marita A. Hansen"